Time is the perfect quilt pattern when you need a quilt that will be “used heavily and well loved” - college dorm quilts, charity quilts or when you need to come up with a quilt in a hurry that only LOOKS complicated. 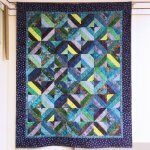 You will put together strip sets in class, turn them into tubes and then learn the magic of the”Strip Tube Ruler” to cut out completed blocks. 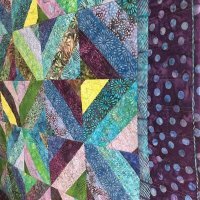 Join Susan for an afternoon of no pressure sewing and be well on your way to making the blocks you need for the center of your quilt!